Everyone will know you mean business when they see you sipping from these Teacher Customizable Coffee Mugs. This Teacher Coffee Mug makes a great Personalized Teacher Gifts. Our Personalized Mugs are Dishwasher safe & includes FREE Personalization! Personalize your Teacher Coffee Mug with any Grade and School Name. Mugs are available in different sizes ranging from 11 ounces to 20 ounces. LOOKS GOOD, BUT NOT AS GREAT AS I THOUGHT IT WOULD. 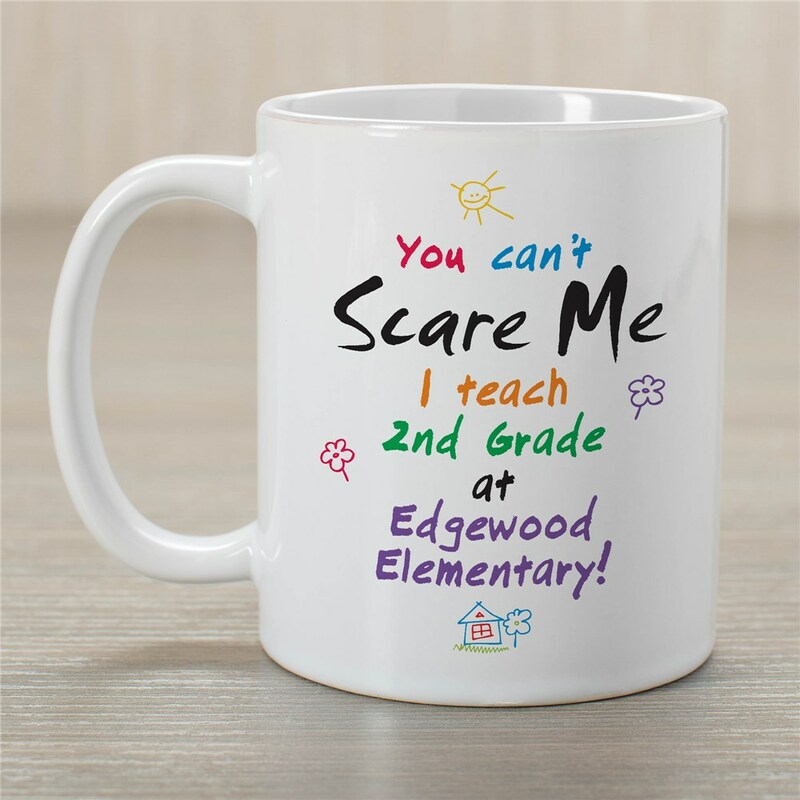 My son's teacher LOVED this mug! It is affordable and fun!